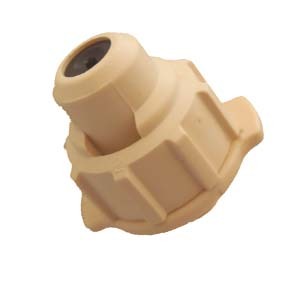 Mist Nozzles with 10-32 thread significantly reduces the air temperature up to 20 degrees. It is used for outdoor cooling, indoor propagation and lowering the heat experienced by animals during the summer. Choose the location where you want to position your misting nozzle and drill a hole in PVC pipe slightly smaller than the 10/32 thread on your mister. Screw the threaded end of the misting nozzle in to secure. Mister should be installed at a 120 degree angle to the ground, 3 to 4 feet apart. 200 Mesh Filter Recommended.